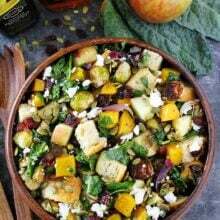 Fall Panzanella Salad-bread salad with butternut squash, brussels sprouts, apple, dried cranberries, pepitas, goat cheese, and kale. This easy fall salad is the perfect side dish for Thanksgiving! 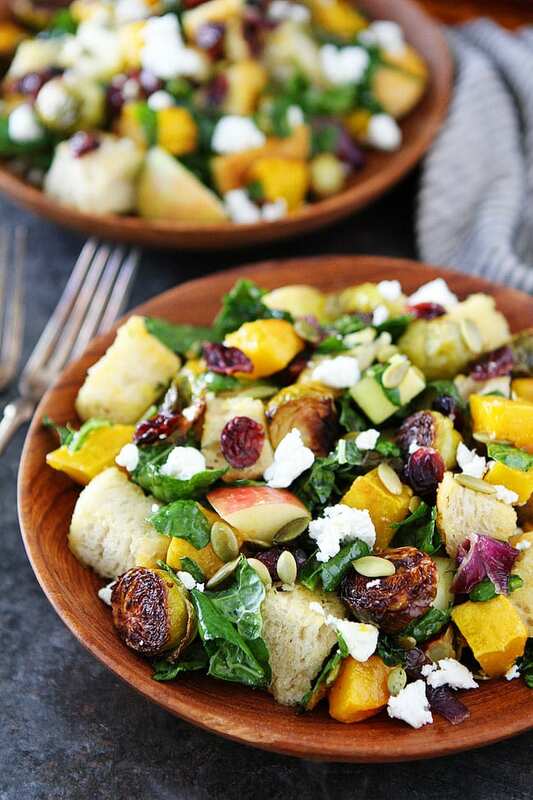 I am currently obsessed with this Fall Panzanella Salad. 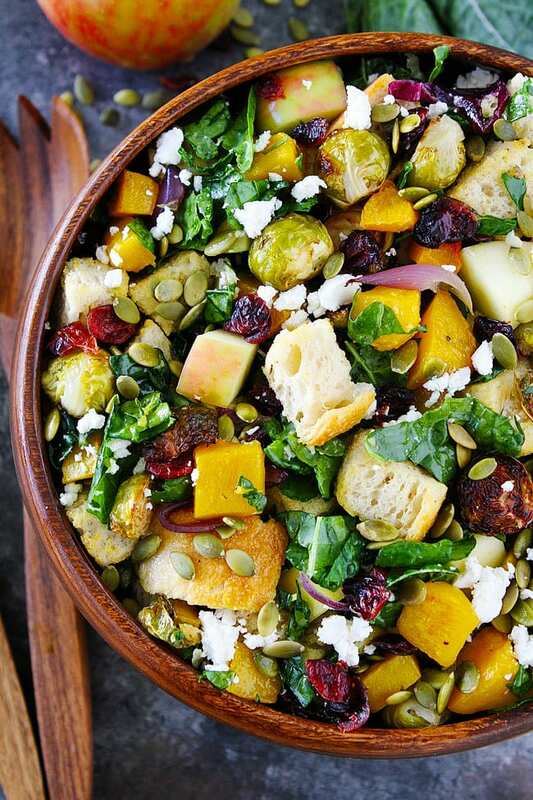 It has all of my favorite fall flavors in one salad…with toasted bread. It is a great side dish for Thanksgiving or any fall meal. So what is in my fall panzanella salad? This is one loaded salad! I buy all of the ingredients at Smith’s. They sell amazing artisan bread that is baked fresh every day. I love the Rosemary Olive Oil loaf from La Brea Bakery for this recipe. It’s so good and compliments all of the fall flavors. Once you have your toasted bread cubes, you can add in all of the delicious vegetables. I roast the vegetables to bring out the best flavor. Pro-tip, you can buy precut butternut squash and trimmed brussels sprouts at Smith’s in the produce section. 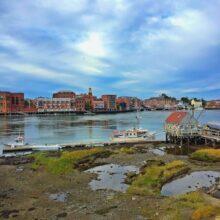 I am always looking for time savers during the busy holiday season. Thank you Smith’s! To finish up the salad, add in pepitas, dried cranberries, and crumbled goat cheese. Drizzle with a simple maple mustard dressing and you will have the BEST fall salad. Add this Fall Panzanella Salad to your Thanksgiving menu this year. It is a great side dish to serve along side your holiday meal. Enjoy! 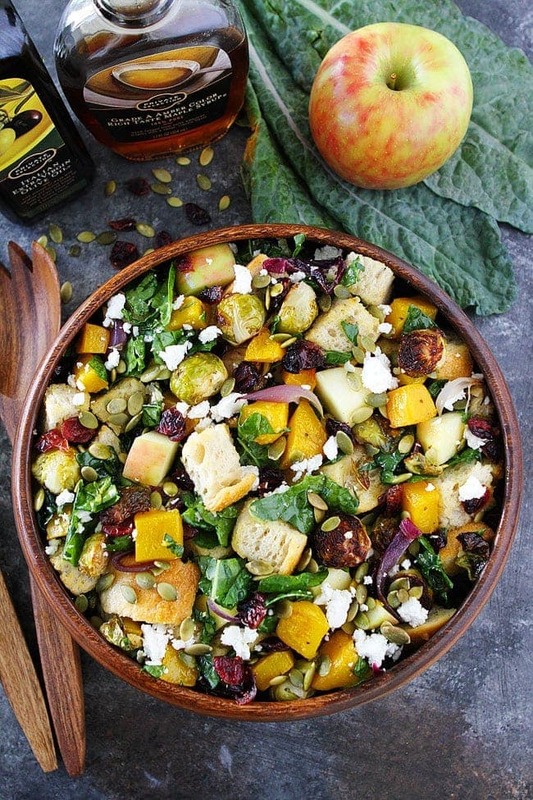 This crusty bread salad is loaded with delicious fall flavors. It is the perfect side dish for Thanksgiving. Preheat oven to 375 degrees F. Place the bread cubes on a large baking sheet. Place in the oven and bake for 10 minutes, or until the bread is toasted. Remove and set aside. Turn the oven to 400 degrees F. Place the butternut squash, brussels sprouts, and red onion on a large baking sheet. 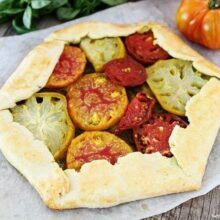 Drizzle with olive oil and toss until vegetables are well coated. Season with salt and pepper, to taste. Place the pan in the oven and roast for 35-40 minutes. Remove from the oven and let cool to room temperature. While the vegetables are cooling, make the dressing. In a small bowl, whisk together the olive oil, lemon juice, apple cider vinegar, maple syrup, mustard, and garlic. Season with salt and pepper, to taste. 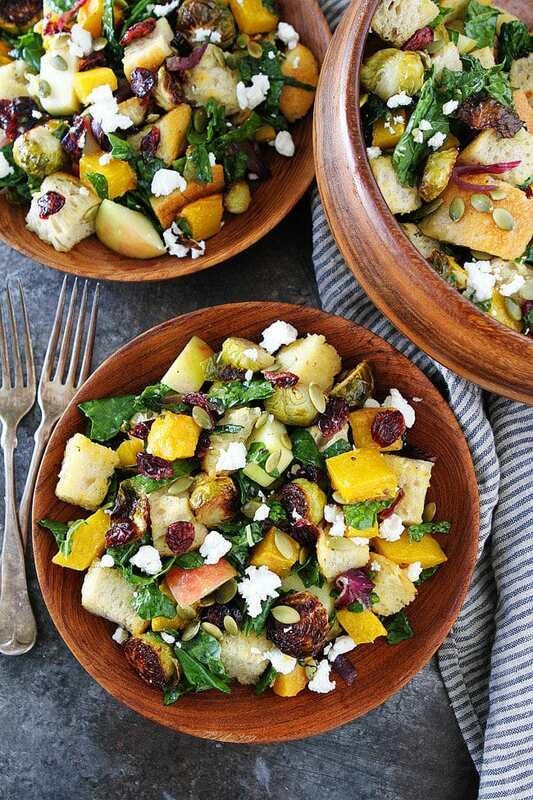 In a large bowl, combine the toasted bread cubes, roasted vegetables, kale, apple, dried cranberries, pepitas, and goat cheese. Drizzle with dressing and toss well. Serve. Note-this salad is best the day it is made. 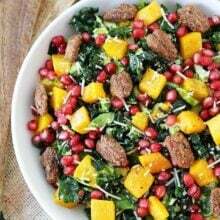 What a gorgeous fall salad for Thanksgiving! This will be a big hit! I can’t wait to make it again for Thanksgiving! Yup, panzanella salads are my favorite too and I make one for every season. This has all my Fall favorites! Wow, this is defiantly a loaded salad. Love it! This is beautiful! I love all of the ingredients! Can you use spinach instead of kale? Yes, spinach would be good too! All the fall faves in one amazing salad! These are all my favorite fall ingredients! So smart to use the rosemary bread – I bet that kicks things up a notch! 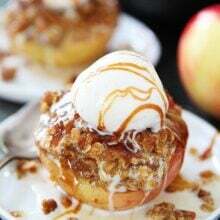 yum… this looks amazing! i can’t wait to try it out. thank you for sharing! made this yesterday with feta instead of goats cheese and crispy prosciutto. so darn good! I made this the other night for a dinner party, sooooo good! Totally making it again.